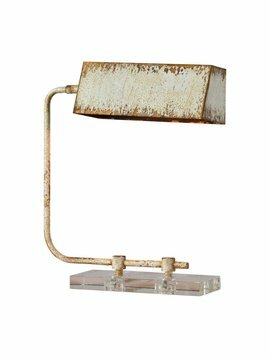 The Gavin table lamp offers a masculine take on a classic table lamp. 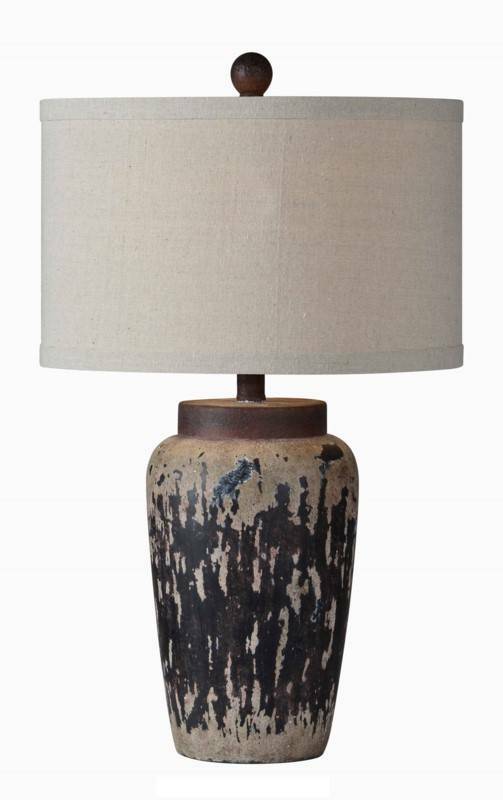 It combines a dusky distressed finish in ebony and sandy-rust colors with a round off-white drumshade. 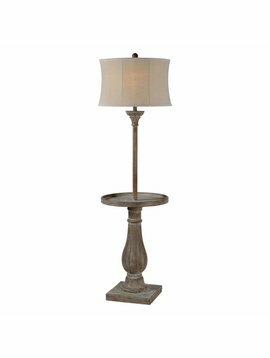 Glass/Shade: 15" x 15" x 9.5"